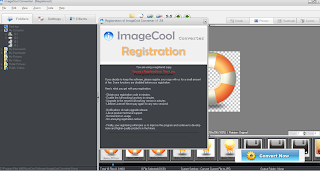 ImageCool Converter is a powerful tool that can convert, process and view image files in batches. It runs on Microsoft Windows 7, 8, Vista and XP. ImageCool Converter supports 40 image filters and 12 image effects including Color Balance, Flip, Rotation, Reflect, and more. ImageCool Converter fully supports Alpha channel in 32-bit PNG or ICO formats and fully supports transparence layer in GIF, PNG or ICO formats. ImageCool Converter fully supports multi-page formats. You can convert, create or preview multi-page images, including TIF, GIF, PCX, AWD, WFX, FLI and FLC. ImageCool Converter has 4 preview modes, includes Details, Preview, Thumbnails and Custom. You can easily switch the modes by clicking on the buttons in the upper right corner. ImageCool Converter fully supports Alpha channel in 32-bit PNG or ICO formats. The Alpha channel will NOT be deleted or ignored when you are converting or dealing with these formats. 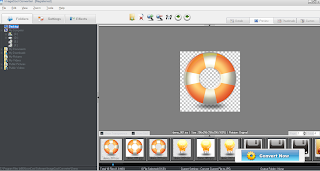 ImageCool Converter fully supports multi-page formats. You can convert, create or preview multi-page images, including TIF, GIF, PCX, PDF, AWD, WFX, FLI, FLC and AVI(preview only) formats. ImageCool Converter has a special mode named "Quick Conversion". ImageCool Converter allows you to drag'n drop your files onto the floating button "Convert Now" to start the conversion. You can also move(drag by mouse) the floating button "Convert Now" to anywhere you like, and then drag'n drop your files onto the floating button to convert them immediately.